Cold Morning Across New Mexico. 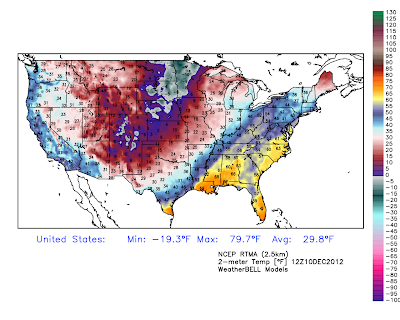 National Temps At 5 AM MST This Morning. 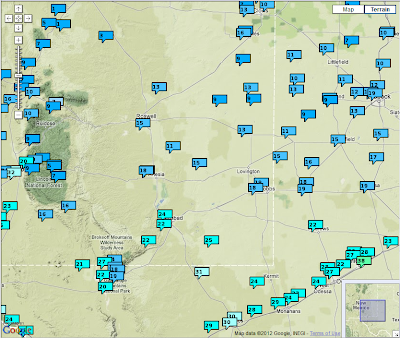 Regional Temps At 5 AM MST This Morning. 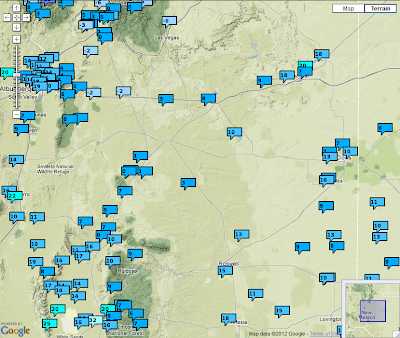 Regional Temps At 5 AM MST. 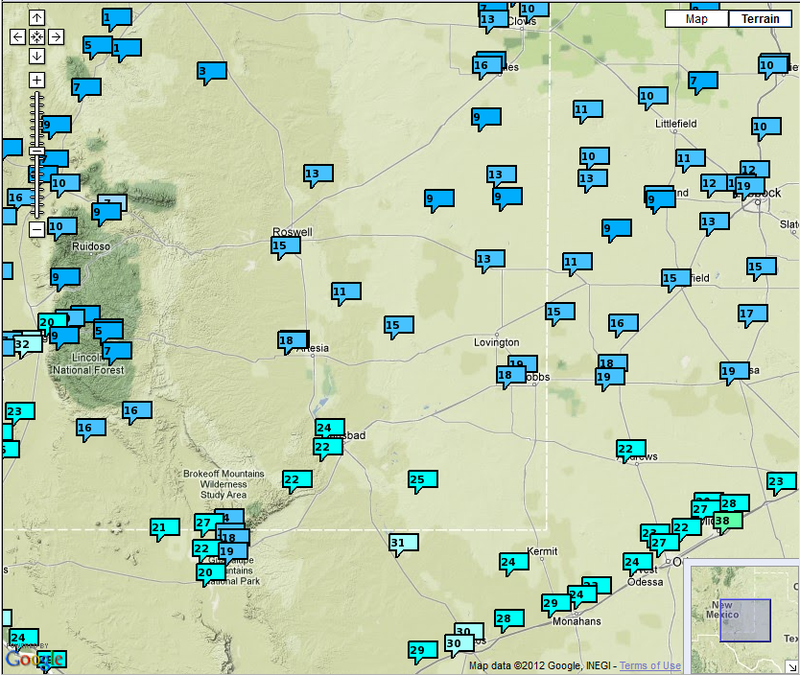 Preliminary Low Temps Reported At 6 AM MST. 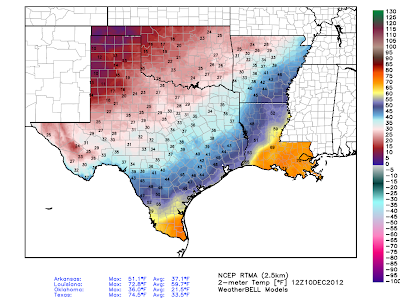 These are not the final lows this morning. 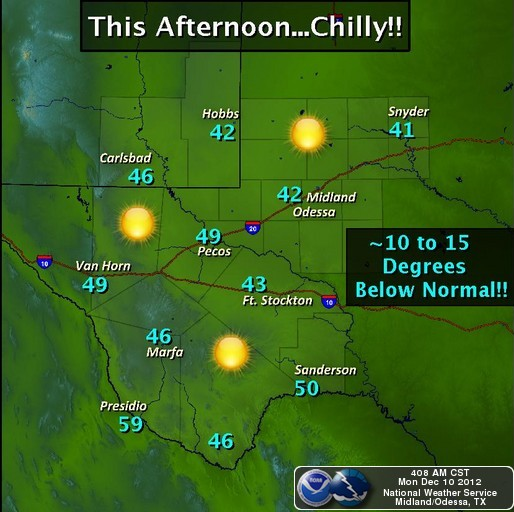 Temperatures will continue to drop a few degrees over the next couple of hours. The coldest low temp as of 6 AM MST that I can find so far is the -19F being reported at the Angel Fire Airport. 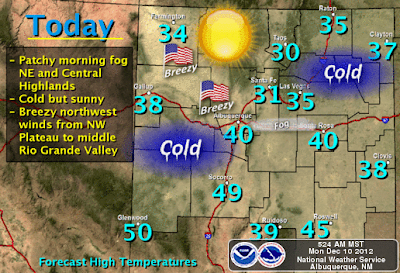 Chilly Today - Warming Up This Week. Light snow fell over southeastern New Mexico last night. I measured .1" (just a dusting) here at my home in Carlsbad, with a liquid equivalent of .01". Tatum measured .3" and Roswell measured .5". A dusting was also noted in Artesia. 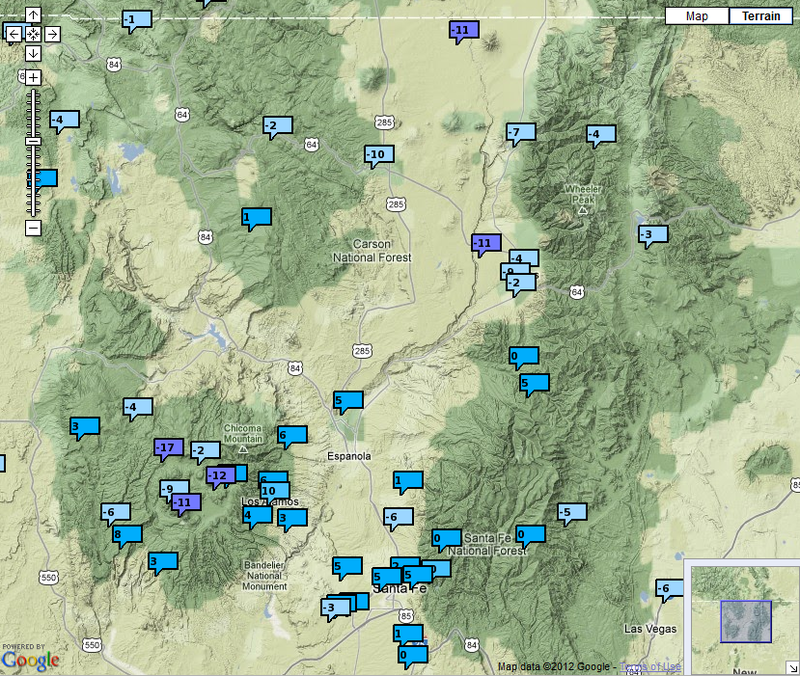 Several mountain communities in northern New Mexico reported 10" to 14". 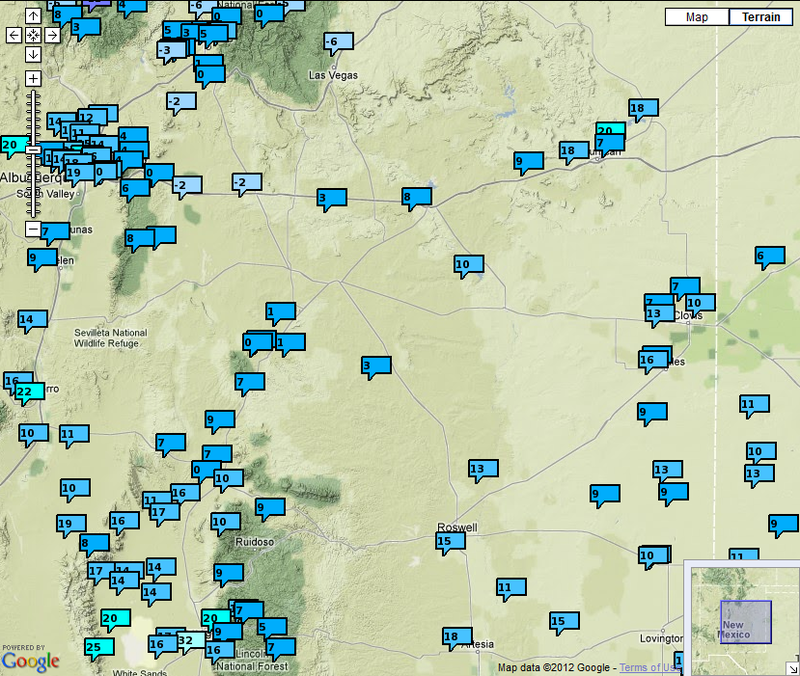 Please visit this link for additional snowfall totals across New Mexico. I will update this list tonight when more local snowfall totals will be available.